And now, because a tragic love story makes the world go ’round, the story of Heloise and Abelard. Just about a millennium ago, Pierre Abelard, a brilliant and outspoken French philosopher, was called upon to tutor the equally brilliant, much more pretty and twenty years his junior Heloise d’Argenteuil. They fell in love, she bore a child whom she named Astrolabe, and then secretly married. 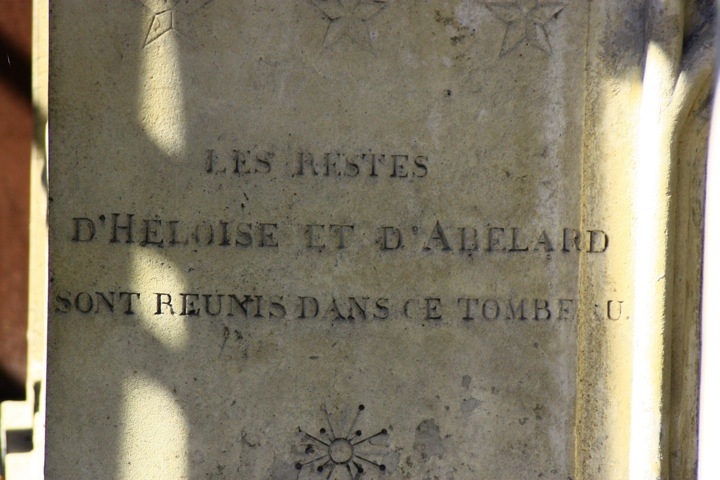 The couple then disclosed the fact of the marriage to Heloise’s uncle but Heloise, not wanting to ruin Abelard’s career and reputation left Baby Astrolabe with Abelard’s sister and entered a convent. Heloise’s uncle, however, believed Abelard was in fact trying to shirk his responsibilities by shutting Heloise away and tracked down Abelard and made him less of a man with a very sharp knife. From here the story changes depending on which account you read. 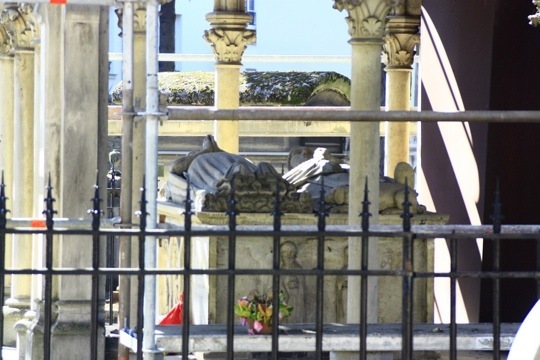 However, just about everyone agrees that both Abelard and Heloise retained a deep devotion to each other even though they saw each other only once more in their lives. The pair wrote dozens of letters, often philosophical, but more often of their deep love and undying devotion to each other. 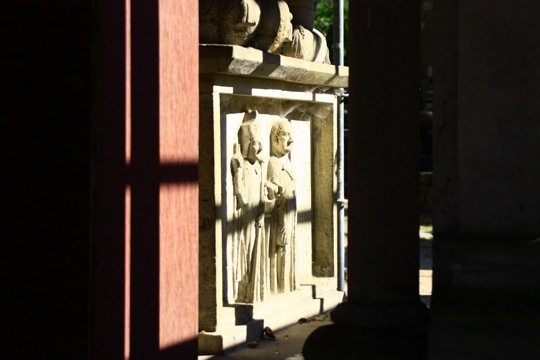 Heloise became abbess of the priory where she lived the rest of her life and Abelard wrote and published essays and papers, neither of them distracted by the tiresome minutiae of life as husband and wife. 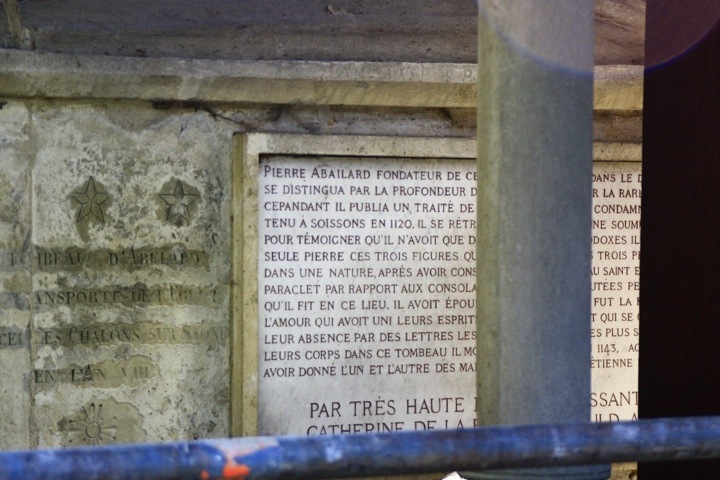 Six hundred years later, Josephine Bonaparte, so moved by their story, ordered that the remains of Abelard and Heloise be entombed together at Pére Lachaise cemetery. And so here they rest for eternity, together at last, Heloise and Abelard. 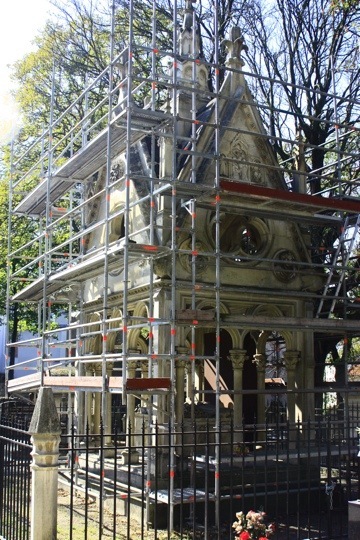 A caveat: Some say Abelard became a monk, others dispute the notion. Some say the bones are buried in this cemetery, others say the remains are elsewhere. Whatever the facts, it’s a tale worthy of a thespian drama — and in fact, there is one. It’s called Abelard and Heloise: The Musical. I didn’t know you loved cemetarys. I do too. I often stop at the side of the roads when I come across an interesting one. There are lots that contain geocaches. That’s fun, Lori! I like the names, the dates, the artwork, the history. And of course, Caledon has some particularly old headstones. Didn’t we visit one near you that had a parking meter or a pay telephone or something?